I have some Synthetic wooden, metal and plastic Drone reeds that use plastic tongue. Any tips of how to make cane tongue. Got my Lawrence Thomson bellows back today from David Lim who repaired my bellows by attaching brass plate to the existing brass tube and then screw it onto bellows. 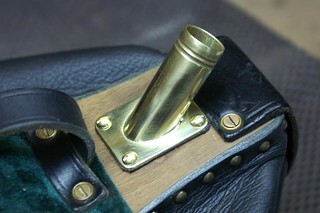 He will add the brass plate to the existing brass tube and screw it onto bellows. Topic: SOLD: Wooden chanter stock for Uilleann Pipes bag. SOLD: Wooden chanter stock for Uilleann Pipes bag.